Life Athletes, hello and welcome to episode 92 of the Life Athletics Podcast! 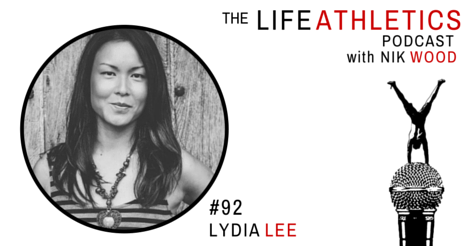 Today’s guest Life Athlete is Lydia Lee, the founder of Screw the Cubicle. Lydia is a business creator and lifestyle strategist who helps people break out of the corporate prison. We all want that, don’t we? Being a mentor, she helps people realize their potential and find their path to freedom! Lydia used to work for the corporate world, and although she was very successful in her field, she couldn’t help but ask herself, “Is this all there is?” She found herself in a spot where she was unhappy and she really didn’t see the purpose of what she was doing. And this is where she came up with the concept of Screw the Cubicle. Lydia has turned her life around for the better, and she wants you to do the same! On this episode, Lydia shares about her journey and encourages you to screw the cubicle with her and enjoy the freedom you were meant to have!